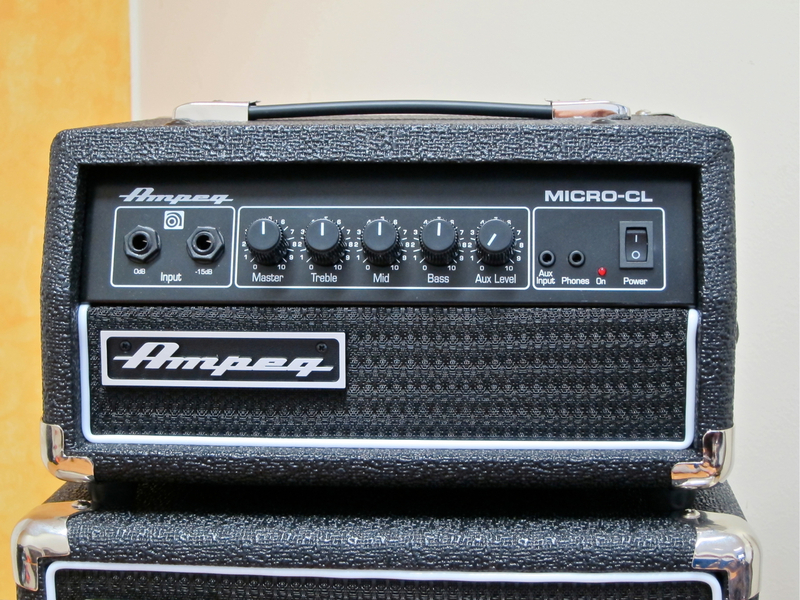 The Micro-CL-head comes equipped with two inputs – one for passive and the other for active bass guitars – as well as a three-band EQ-section. 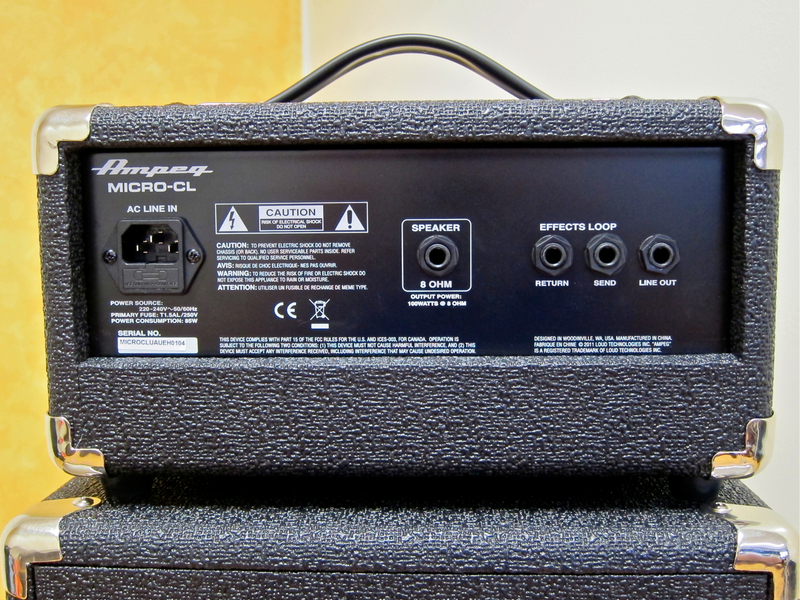 Because this amp is also very handy as a practice amp at home, Ampeg have added an Aux-input (with its own volume control) and a headphones output to the front panel. On the head’s flip side you’ll find the speaker output, as well as phone jacks for the effects loop and the line-level output. 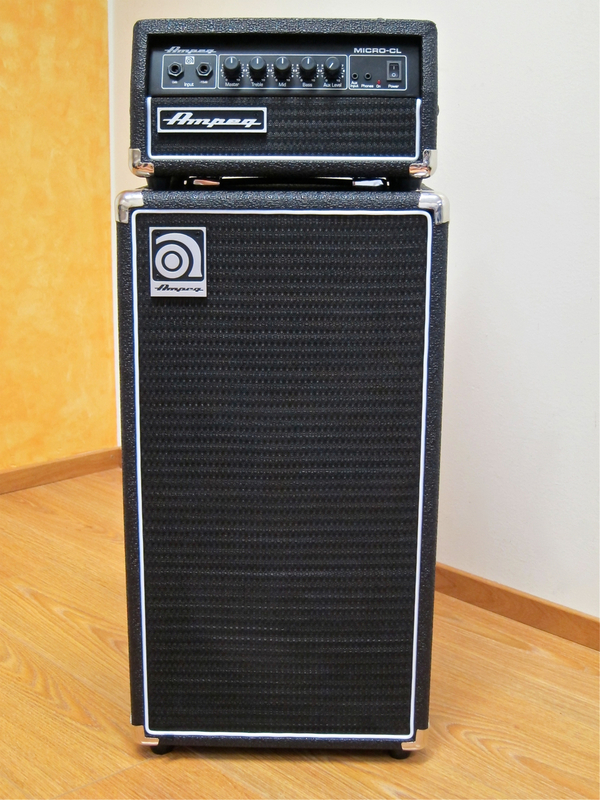 The stack’s cabinet – called the Ampeg MC-210E – is built using the same Infinite Baffle -principle also applied to the company’s famous (and huge) 8 x 10″ cabinets. 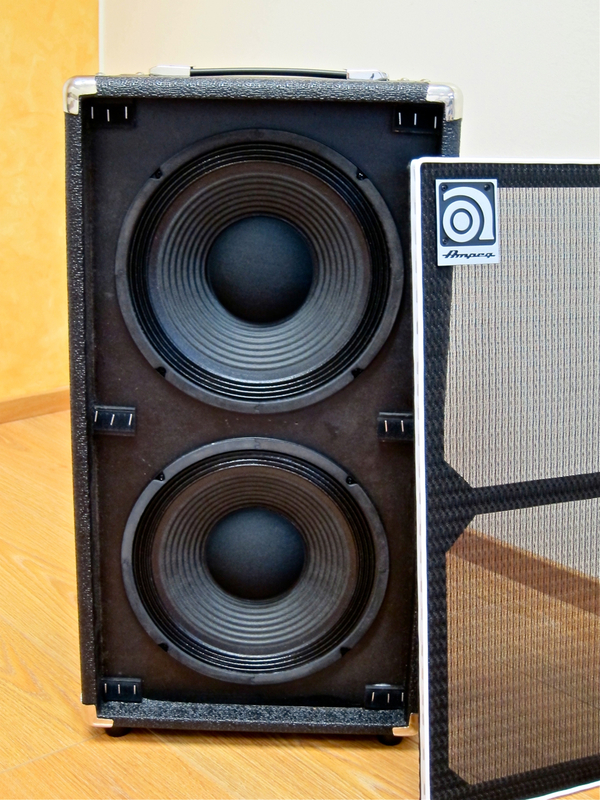 The completely enclosed cab comes loaded with two 10-inch speakers. The front grille is attached in the traditional way using velcro. The workmanship seems spot on, with the miniature cabinet exuding the same air of rugged roadworthiness that its big brothers are known for. The speaker input sits on its own metal plate. 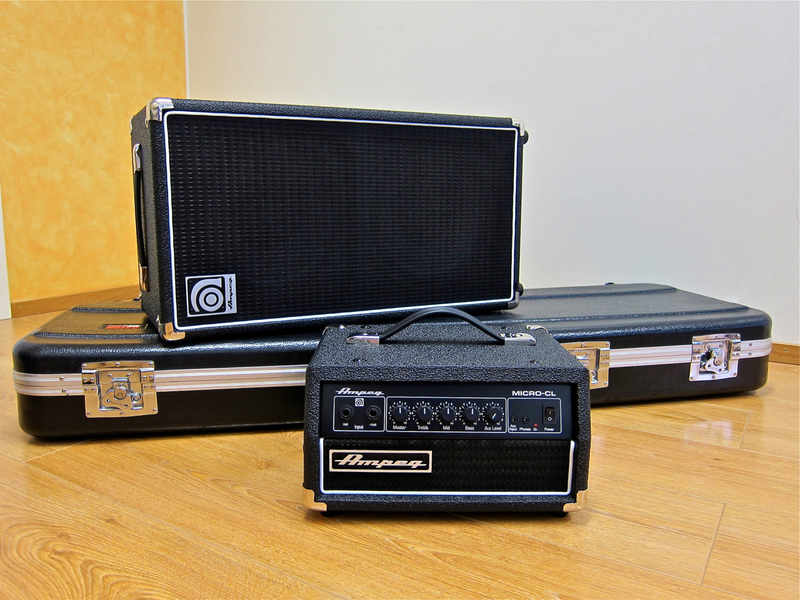 The amp may be small and cuddly, but don’t forget we have a genuine 100 W Ampeg system here! 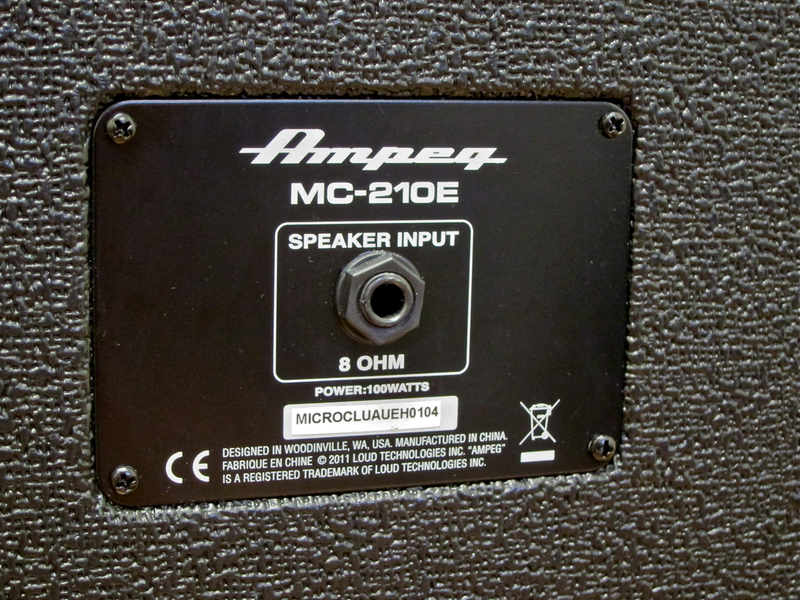 I was positively surprised by the sound levels this small bass amp dishes out. Using it at home I wouldn’t recommend turning the master volume anywhere above number three, if you want to stay on good terms with your neighbours. 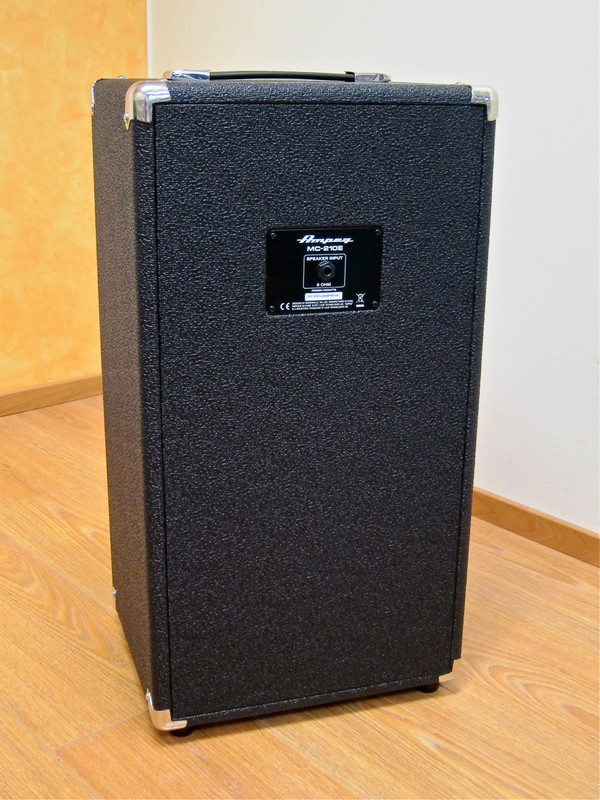 In the rehearsal studio – where I also recorded the audio clips for this review – the Micro-CL left me in no doubt that it would be fully up to its task at rehearsals and even smaller gigs. 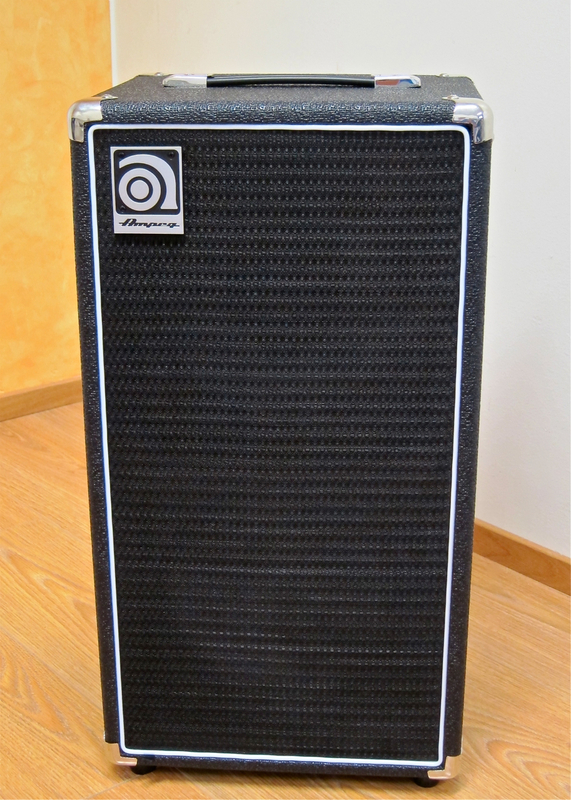 With regard to its sound the tiny stack proved to be a thoroughbred Ampeg: The tones on offer are fat and juicy, with the raunchy midrange growl this company’s bass amps are famous for. With the master volume approaching 10 you will also be able to coax some tasty, tube-like overdrive from the Micro-CL – but I’d suggest using earplugs then. 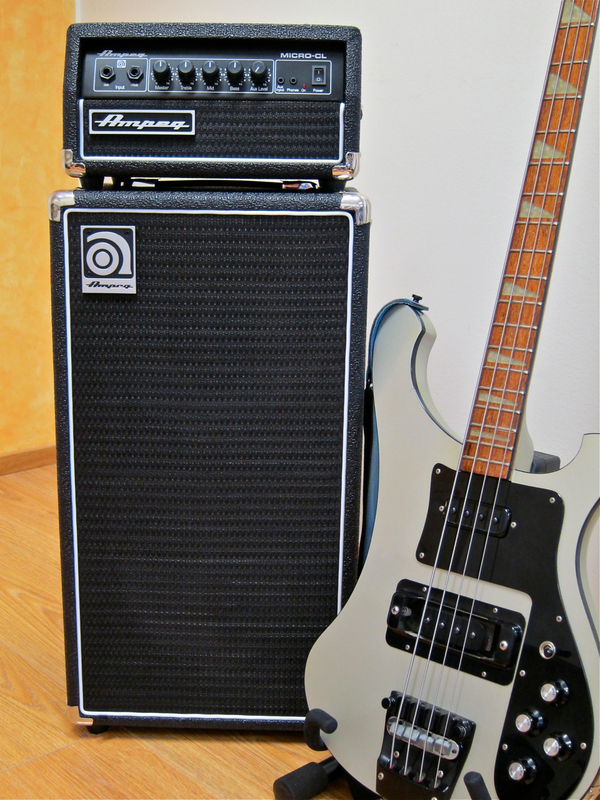 Granted, the Ampeg Micro-CL -stack is something of a cutie, but this isn’t a fancy toy, it’s a real bass amp with a lot of Ampeg-tone to boot.